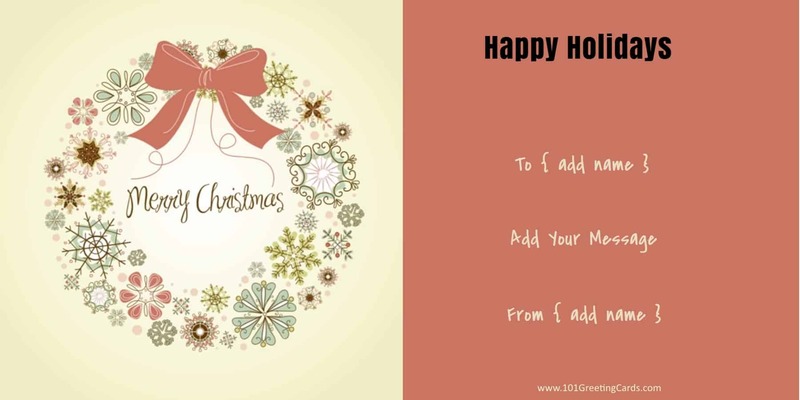 The following printable Christmas cards can be customized online before you print. 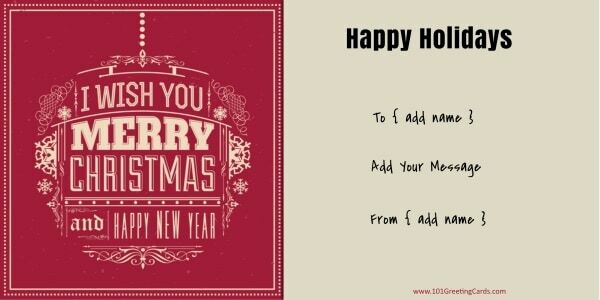 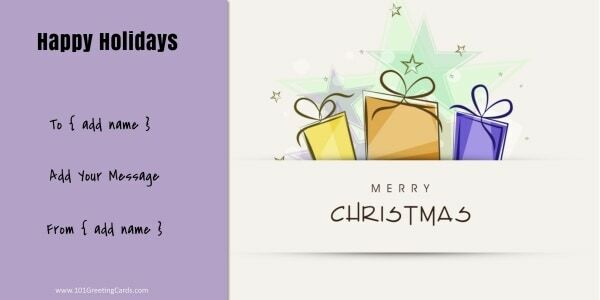 The text can be edited so if you prefer “Happy Christmas”, “Happy New Year” or “Merry Christmas” to “Happy Holidays” just change the text. 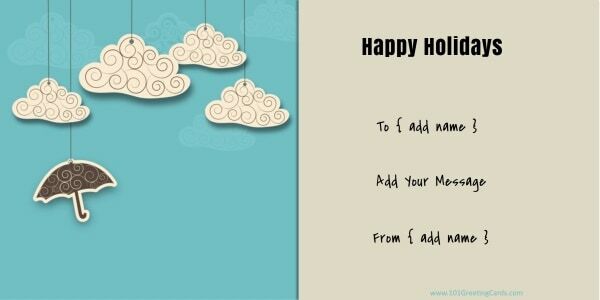 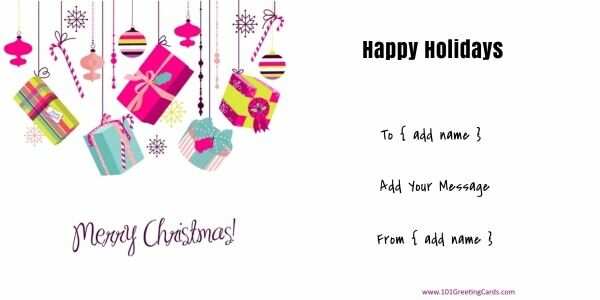 You can also personalize the message and write “Happy Holidays from the Smiths” (or whatever you name you want to write). Feel free to make any changes that you want. 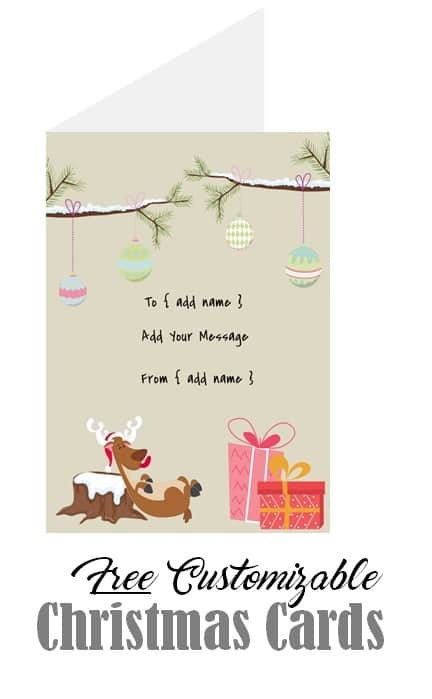 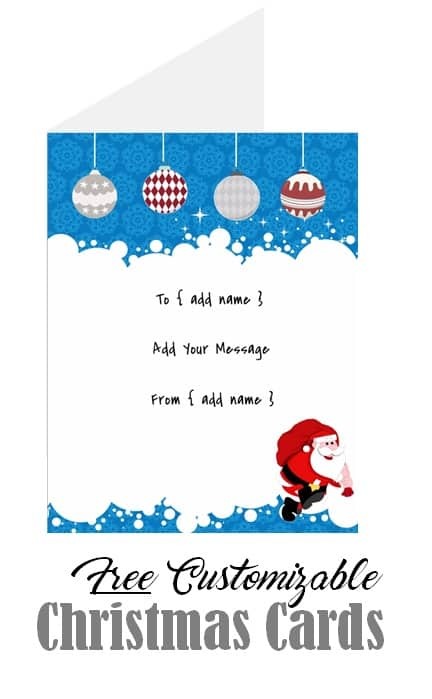 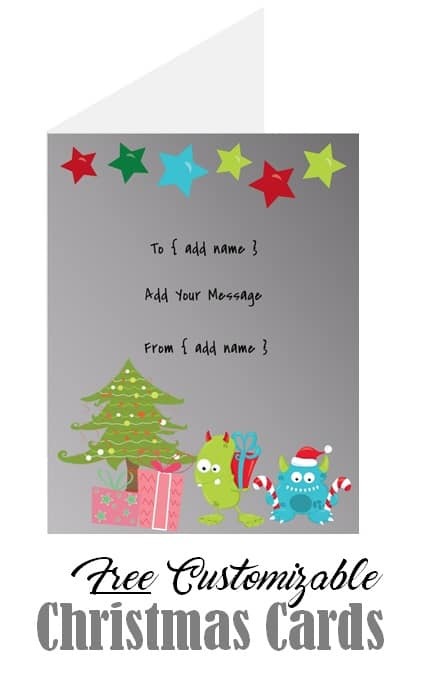 If you are sending these Christmas cards from a business then upload your logo and add your business name and details. 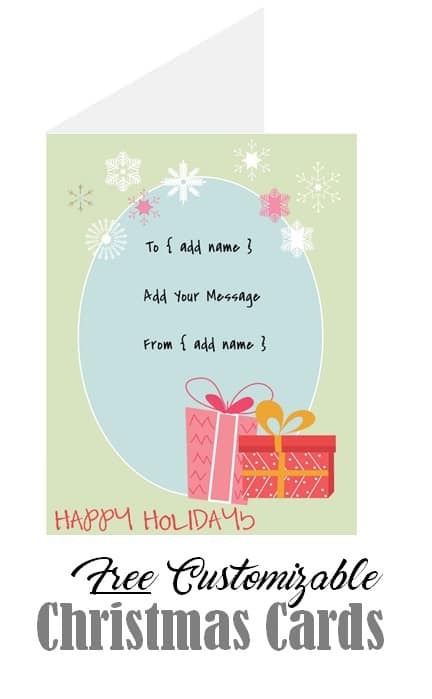 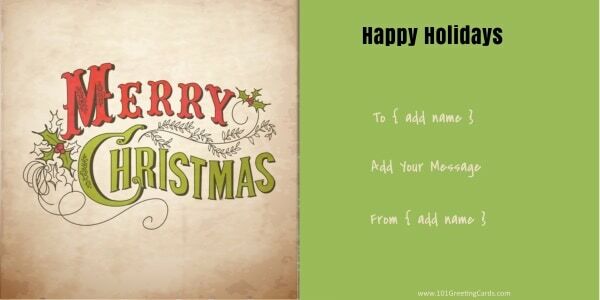 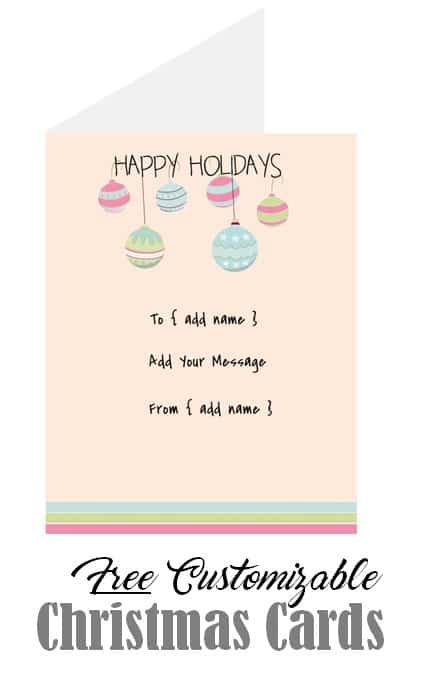 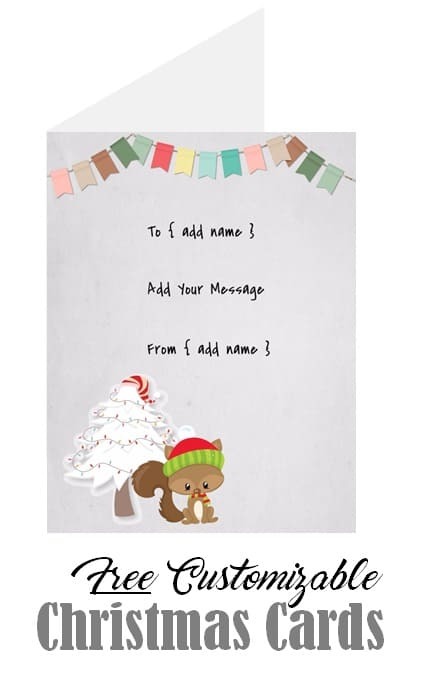 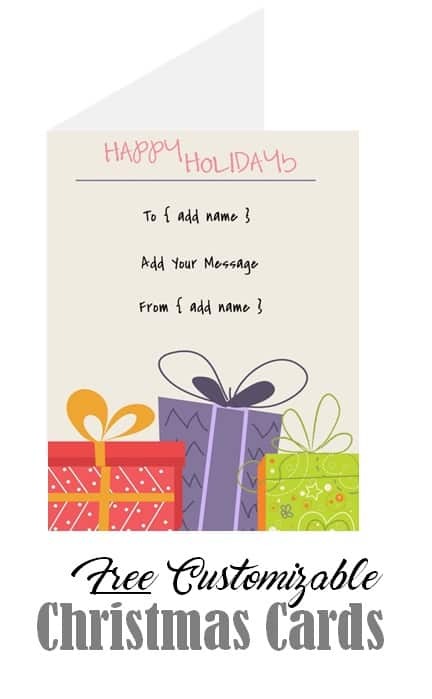 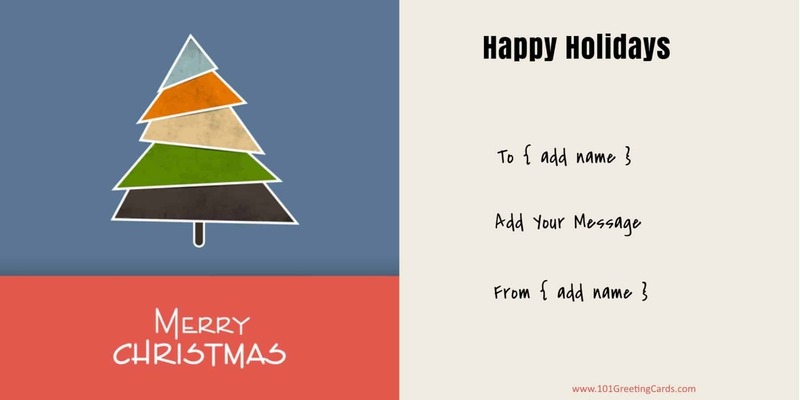 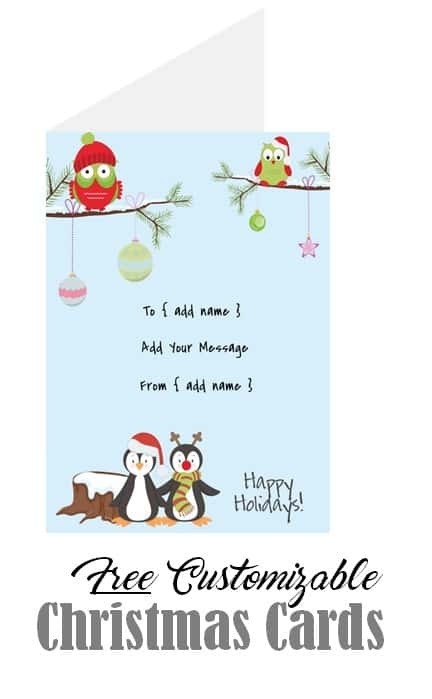 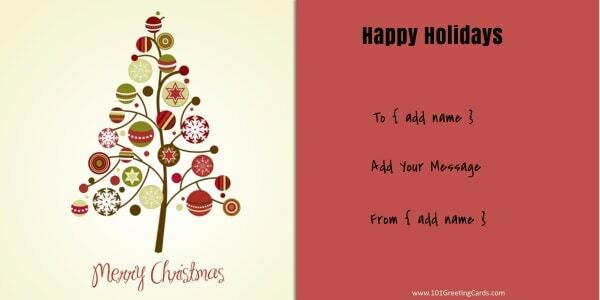 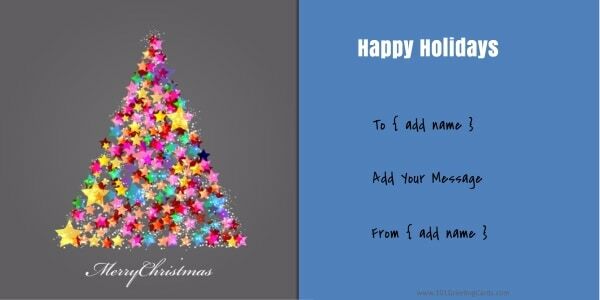 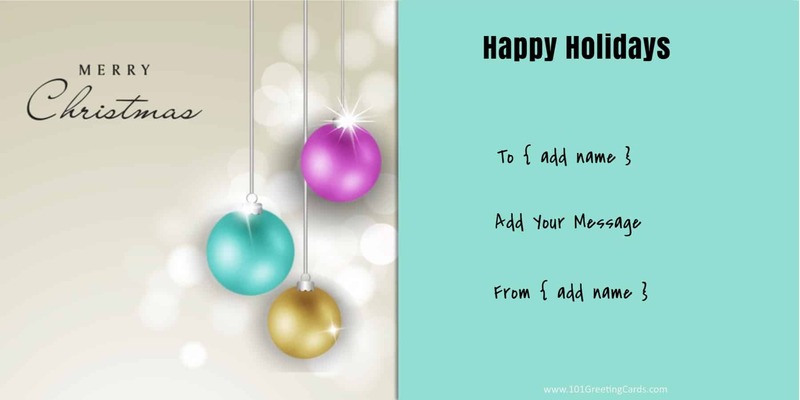 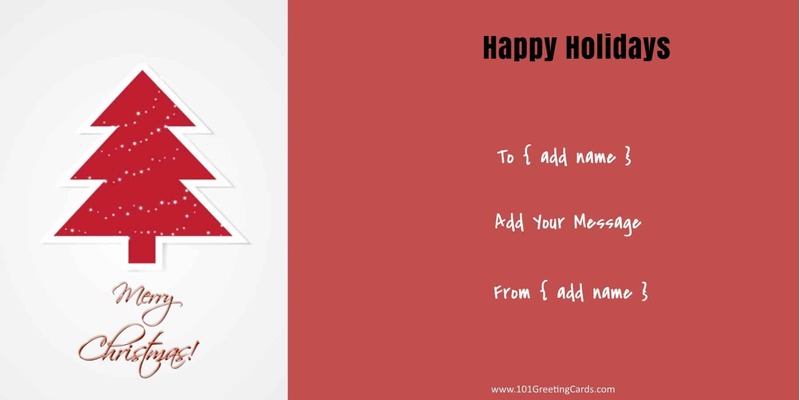 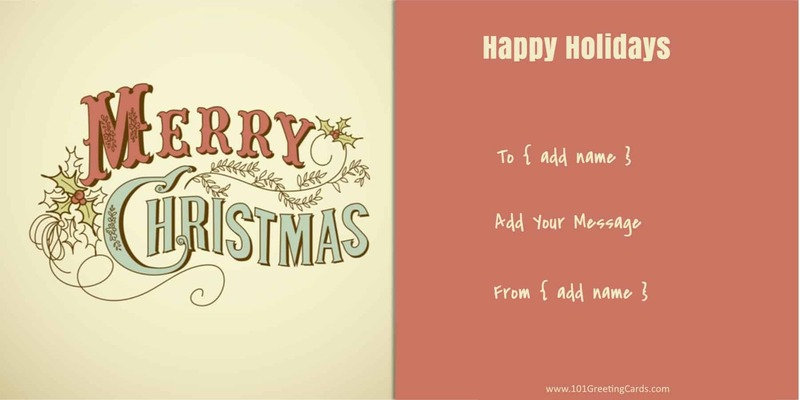 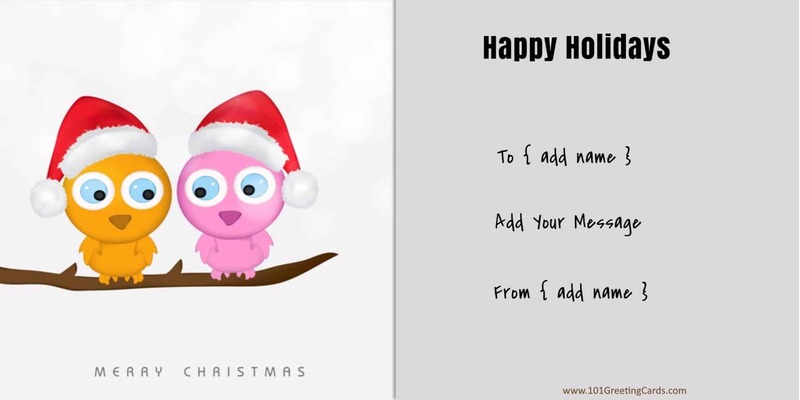 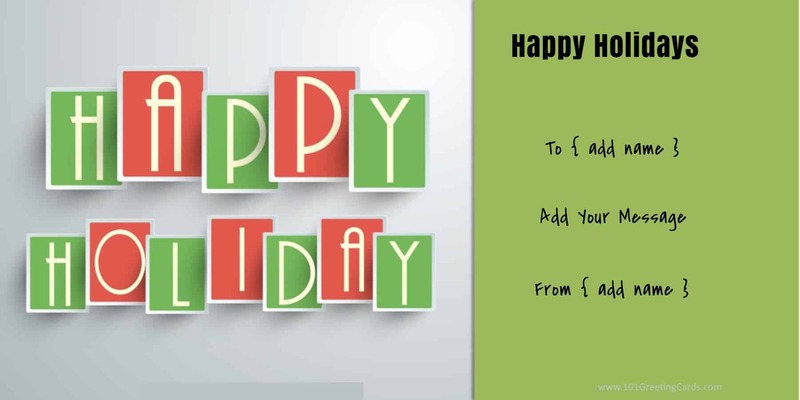 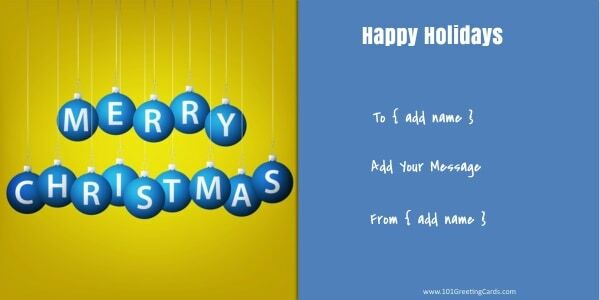 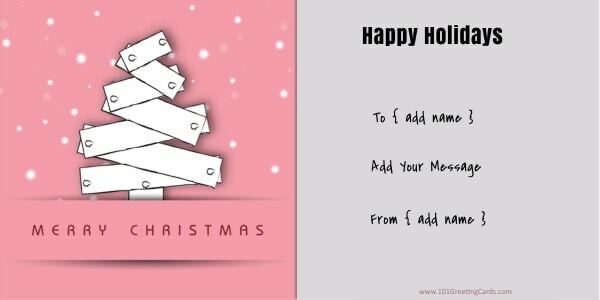 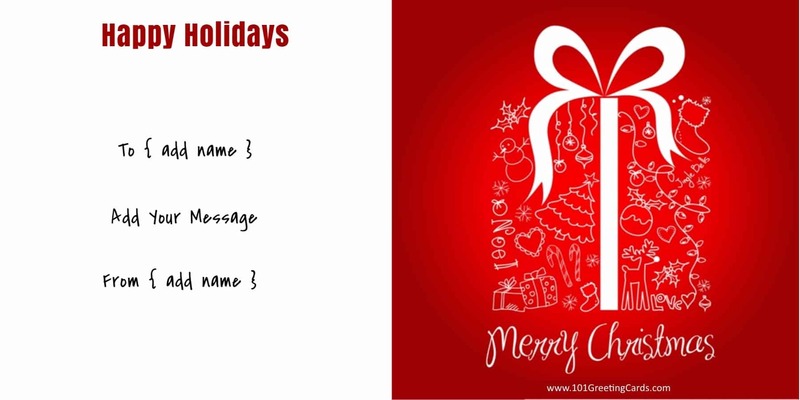 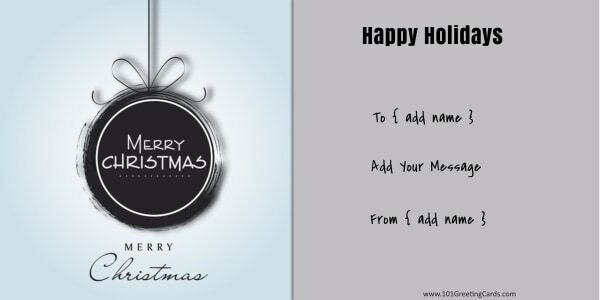 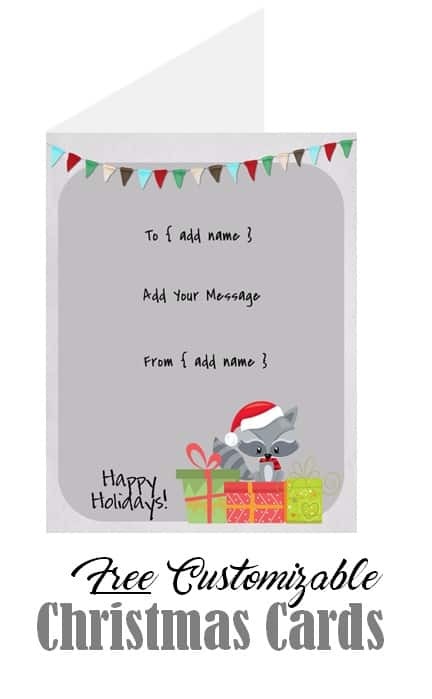 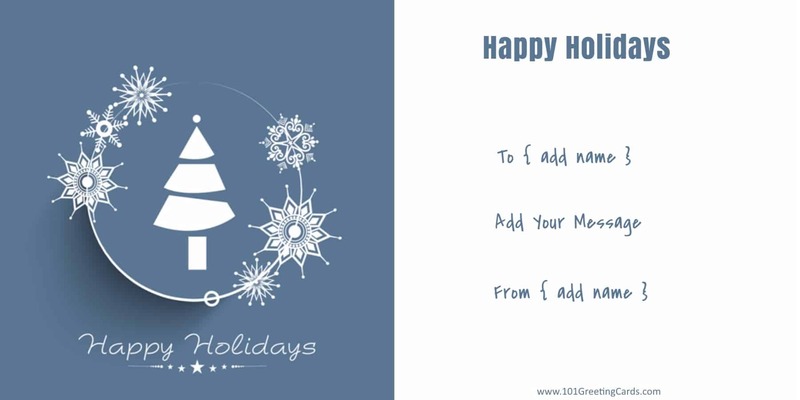 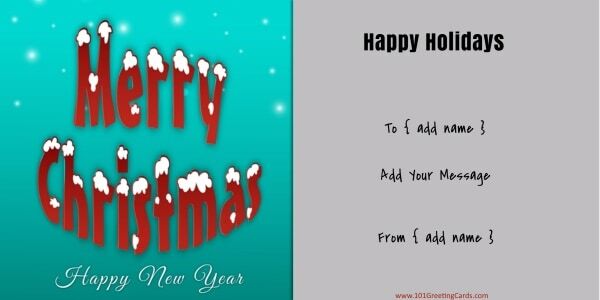 Once you have customized the Christmas card template (free) we suggest that you print it on cardstock.